Attention all opalholics! Mark Hileman has just completed an outrageous new Australian opal pendant available for immediate purchase on Etsy.com. If you love Australian opal jewelry, then this new opal inlay pendant will not disappoint. 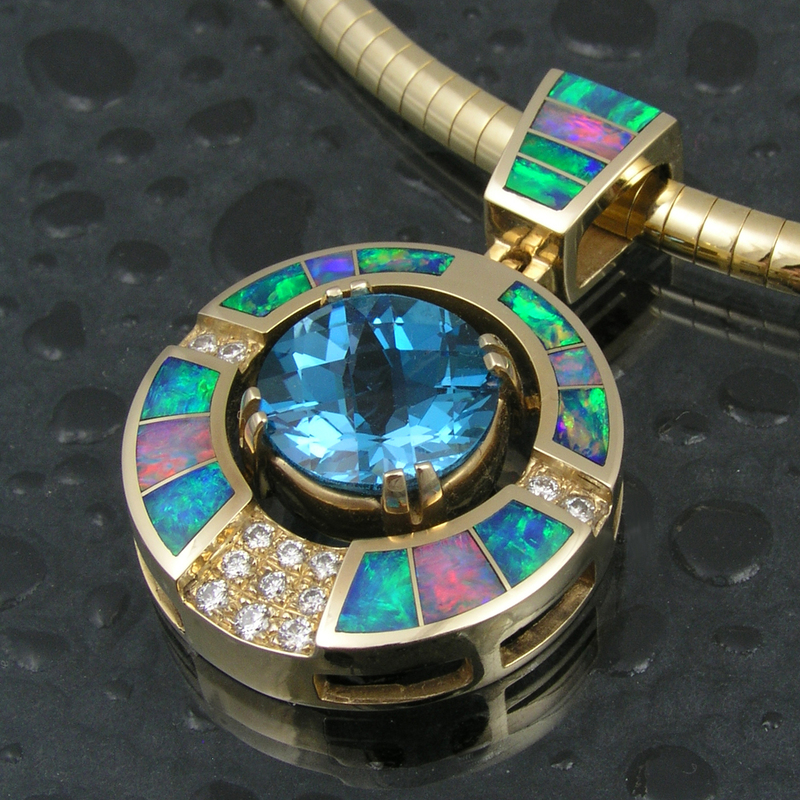 This stunning handmade 14 karat gold pendant features a blue topaz and incredible Australian opal inlay. A huge 7.3 carat blue topaz appears to be floating in the center of this eye catching pendant. 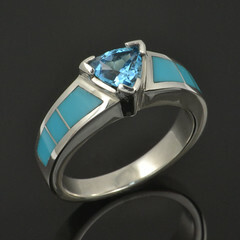 The topaz harmonizes nicely with the 16 pieces of inlaid Australian opal. Each inlay section of the body of the pendant contains two pieces of inlaid blue green opal with one red piece of opal inlay in the middle. 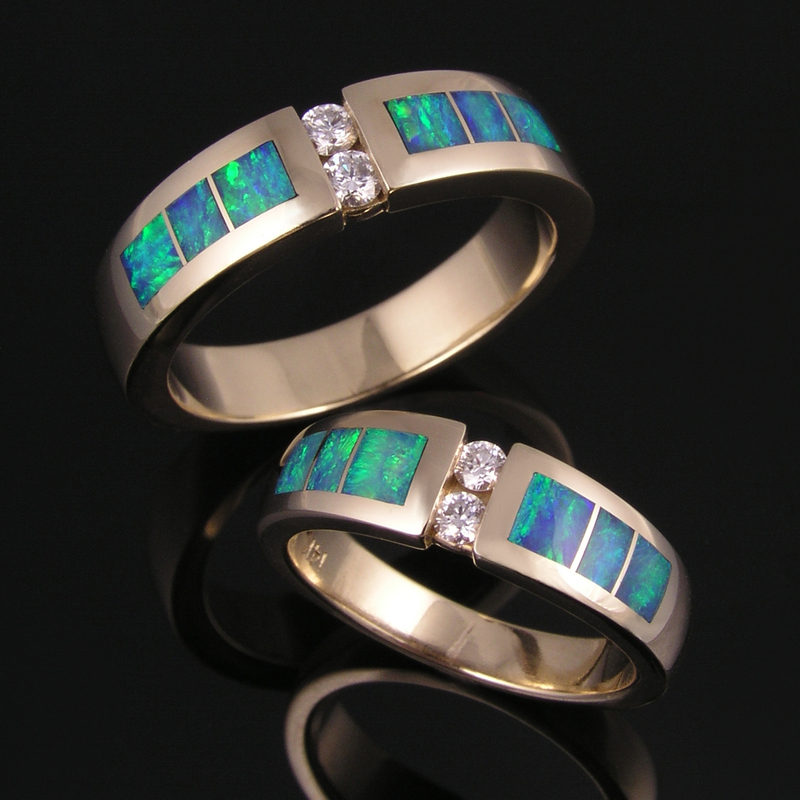 The hinged bale is also inlaid with four pieces of outstanding blue green and red firing Australian opal. 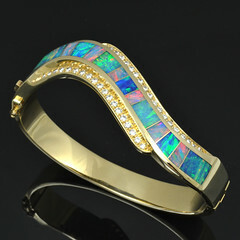 The remarkable opal will mesmerize you as it flashes different colors of blues, greens, and reds. 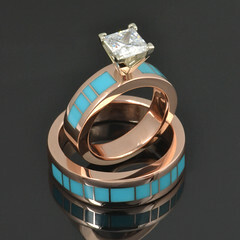 The .30 carats of G color VS clarity brilliant round diamonds provide additional sparkle to this statement piece. The pendant is stamped 14k gold on the back and is hand signed “MMH” by Mark McBride Hileman for authenticity and collector value. Purchase the pendant at http://www.etsy.com/listing/48127165/gold-and-topaz-pendant-with-diamonds-and or get more information about The Hileman Collection and Australian opal at www.TheHilemanCollection.com .